Comin’ in hot for 2018 Alien Day, here’s a lil’ number from Godmachine and Grey Matter Art. Rather than doing just another Ripley poster, Godmachine’s latest is a tribute to Jonesy. 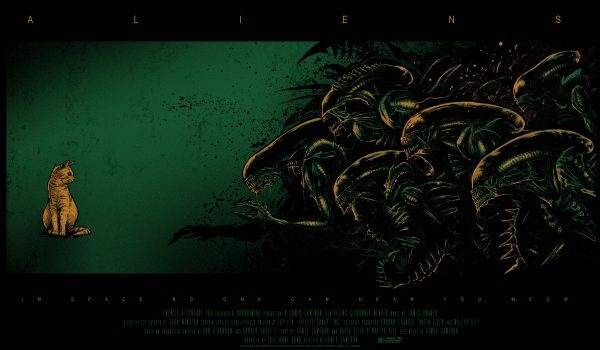 Focused yet and replete with atmosphere, this is a great piece for all you Alien fans out there (myself included). On sale this Thursday, April 26th, only at Grey Matter Art.